Are you looking for an award-winning credit card that offers low fees, exclusive travel benefits and other exciting perks? The Capital One Venture® Credit Card is no doubt one of the best credit cards on the market that will give you unbeatable offers you won’t find elsewhere. No wonder it was featured as the best travel credit card of 2018 by CNBC. Let’s dig right in and check out the benefits and features this Capital One credit card has to offer and how you can apply today. Love rewards? You can earn 2 x unlimited rewards points per every dollar spent, plus 10 x rewards points on thousands of hotels through to January 2020! You can then redeem your miles for cash, gift cards, account credit and so much more. Hate sneaky fees? With the Capital One Venture® Credit Card, there are no foreign transaction fees; this means you won’t be charged for making any purchases outside the U.S. In the event of an accident, complimentary travel insurance covers you when you use your Capital One credit card to purchase your fare. On top of this, if you rent a car with your Capital One credit card and you get into a collision or accident, they will cover you fully at no extra fee. Finally, if your credit card is misplaced or stolen, you can temporarily lock it, request an emergency replacement and take out a cash advance with the Capital One 24-hour assistance service. You also have additional warranty protection at no cost for every eligible item purchased with your credit card. 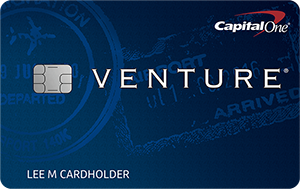 If you are interested in applying for the Capital One Venture® Credit Card, the process is super simple as it can all be done online. However, you must ensure that you are eligible before applying. To be eligible, you must be aged 18+ and a legal citizen of the U.S with a social security number. You may also be asked to provide proof of sufficient income through pay-slips and tax documents. To apply online, simply visit the Capital One website and fill out the online application form. Once you have successfully submitted all the required information, you will receive a notification as to whether or not your application has been approved. If approved, the bank will determine your credit limit based on your income and credit rating. 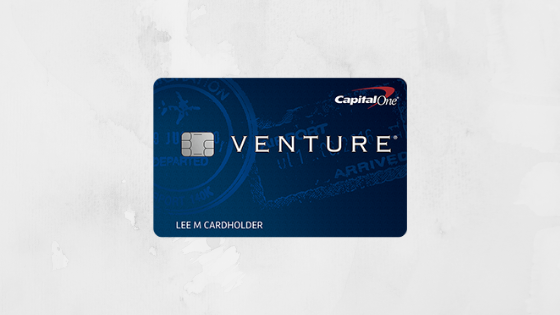 If you want a powerful credit card that comes with various features and privileges to accompany you abroad, the Capital One Venture® Credit Card is the best option out there. Visit the Capital One website and apply today to begin enjoying great benefits, rewards and a smooth banking experience.